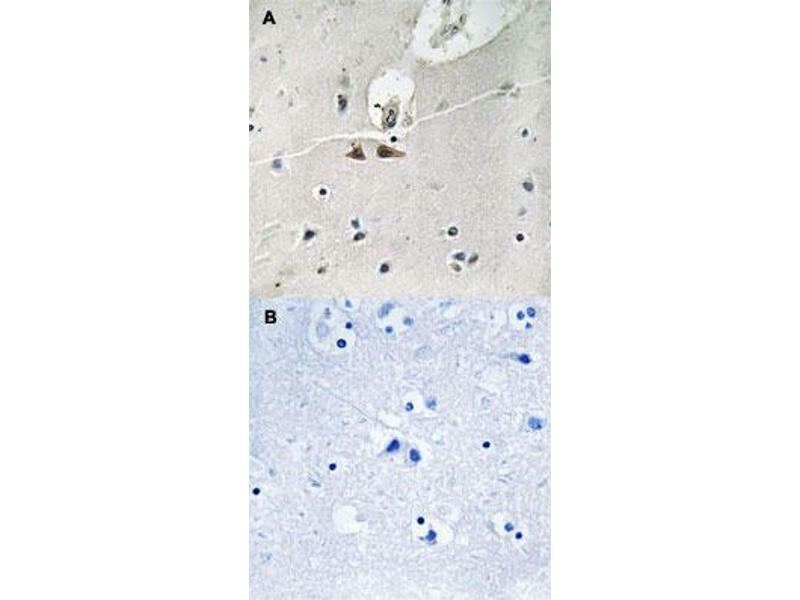 Immunohistochemical staining of human brain tissue by EFNB1/EFNB2/EFNB3 (phospho Y324) polyclonal antibody without blocking peptide (A) or preincubated with blocking peptide (B) under 1:50-1:100 dilution. 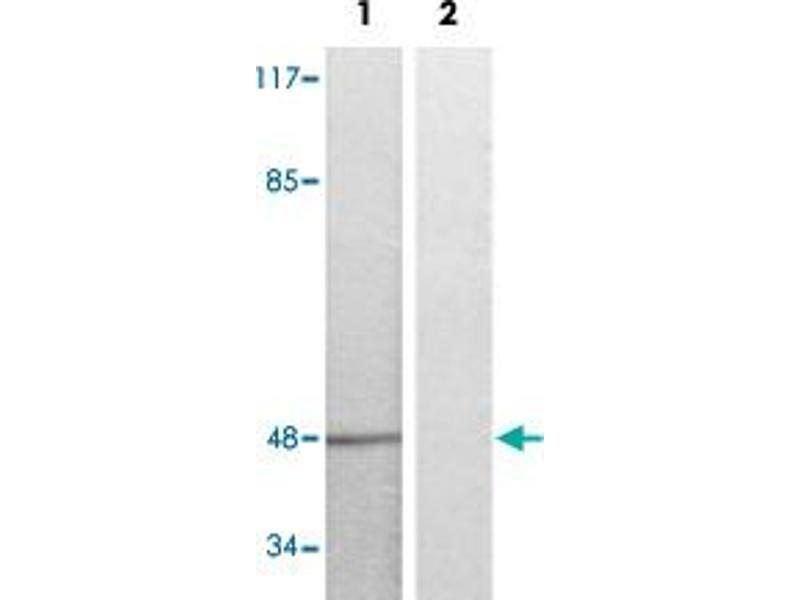 Western blot analysis of Lane 1: serum treated K562 cells, Lane 2: antigen-specific peptide treated K562 cells with EFNB1/EFNB2/EFNB3 (phospho Y324) polyclonal antibody at 1:500-1000 dilution. 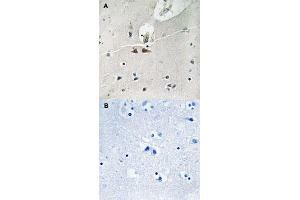 Specificity This antibody detects endogenous levels of EFNB1/EFNB2/EFNB3 only when phosphorylated at tyrosine 324. 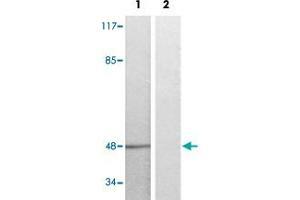 Immunogen Synthetic phosphopeptide (conjugated with KLH) corresponding to residues surrounding Y324 of human EFNB1/EFNB2/EFNB3. Storage Comment Store at -20 °C.